We recently had the honor of interviewing Celeste and learn more about why the Everglades are so important and ways that Florida families can become involved in efforts to protect this precious resource. 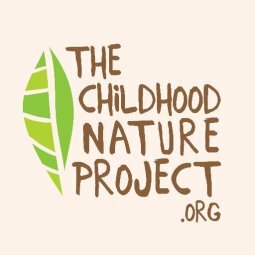 Read below for some great inspiration on ways you and your children can make a difference, plus some amazing tips on connecting with nature in South Florida along with a list of Celeste's favorite nature spots. How did your relationship with nature begin? How did you decide to work in nature? I always had a very high affinity for nature. My relationship with nature began when I was very little. Even though I grew up in the city, my parents signed me up for a sports clinic (sports club) that had a lot of green spaces and “wood-like” playgrounds where I would spend time climbing trees and creating mud figures, so I had quite a lot of free-playing in the element that I think solidified my affection for the environment. Even though I always liked nature, I never thought of working in nature until I was about to graduate from College. Growing up in Buenos Aires, I never thought I could make a living working in environmental policy so I never gave it serious thought. When I moved to Miami, I realized that there were a lot of career paths one could pursue to work in the environment. I was studying Biology to go to medical school when I realized that my true passion was, and always has been, the environment. Upon graduation I volunteered for a while with a local environmental non-profit and the rest is history. I was lucky to “fall” into environmental work, but I thank my parents for having exposed me to the natural world from an early age. I am grateful to this country for giving me the opportunity to do what I do today. Why are the everglades so important? Tell us more about your work. The Everglades are the largest wetland in the United States and it has the distinct recognition of being a UNESCO World Heritage Site. The Everglades are the source of drinking water for 1 in 3 Floridians, close to 8 million people! As such, they are Florida’s economic motor, supporting our tourism, agriculture, real estate, fishing industries. The Everglades are an environmental treasure unlike any other. They are home to more than 400 species of birds and countless other wildlife, such as the endangered Florida Panther. It is the only place in the world where crocodiles and alligators coexist. The Everglades provide shelter to incoming storms by soaking up floodwaters, and breaking hurricane energy – remember Irma? Audubon has worked for over a century to protect and restore America's Everglades. The Everglades has faced many challenges. From the murder of Audubon Warden Guy Bradley by plume hunters as he fought to protect some of the Everglades’ iconic bird species, to the nearly devastating changes from the 20th Century efforts to ditch, dike, and drain the watershed for development and agriculture, Audubon has led an unprecedented ecological intervention. The most ambitious ecosystem restoration plan ever attempted is underway to provide the Everglades with clean freshwater in the right place at the right time. Audubon's work to restore the Everglades is focused on implementing the Comprehensive Everglades Restoration Plan (CERP) and other restoration projects to achieve ecological benefits and restore the characteristic abundance of wildlife. How can we- florida families- support your efforts? - Sign Audubon's petition to ask Congress to advance an essential Everglades project that will help with Florida’s water and algae crisis. If you haven’t already, sign up to receive our newsletter to stay up to date on what you can do to help solve Florida’s water crisis. We have a few different action items coming ahead and this is the best way to receive the latest information. Join us on meetings with elected officials! My email is cdepalma@audubon.org and I’d love to bring you with your kids along to advocate for investment on Everglades restoration. Having different voices from multiple sectors rooting for one issue is a very powerful thing. It’s one thing for environmentalists to ask for money to protect the environment, it’s another when you have everyone asking elected officials to clean our waters. Are you a business owner whose business is affected by clean water ? Are you a realtor trying to sell waterfront property that’s now covered in toxic algae? Do you own a waterfront restaurant/hotel affected by low business as a result of yucky waters? Are you a parent worried about your kid’s future in Florida? Did you try to go on vacation to a beach that was closed because of toxic algae? We all have a stake in this, so the more we broaden the conversation the more influence we’ll have. What are your favorite nature spots in South Florida? Hands down my favorite place is Everglades National Park is obviously my favorite place in South Florida, there are 9 distinct habitats within the Park! Starting at the Ernest Coe Visitor Center you can stop along the way to visit 9 distinct habitats! Shoot for a visit between November through April to skip the mosquito and rainy season. At the Shark Valley entrance (near FIU Sweetwater campus), there is a 15 mile paved loop where you can bike or ride the Park’s tram to the watching tower for a birds-eye view of the swamp. Bike rental is also available if you don’t own a bike. There are special full-moon bike rides organized by park rangers as well. Locally, I love the Bill Baggs State Park in Key Biscayne. If you’re into bird watching, migration time (fall and spring) is a bird-magnet and the trees are full of colorful little birds. Plus, they have nice bike paths and their marina is pretty delicious too. Must I say that migration season just started and it goes through November. Birds are migrating along the Atlantic coast from Central and South America to come back “home” in time for spring nesting season. Bill Baggs is one of the first “gas stations” they reach to replenish, rest, and stock-up for their northward migration destination! Arthur R Marshall Loxahatchee National Wildlife Refuge is another great spot in Palm Beach – this is Florida’s largest wildlife refuge and it protects the northernmost reach of the original Everglades ecosystem. If you’re going to Naples for a quick getaway you must stop at Audubon’s Corkscrew Swamp Sanctuary and witness the majestic old cypress trees growing there. We have a beautiful boardwalk that lets you sneak into the swamp life with interpretive signs with great facts about the habitat. I’ve seen deer and lots of birds here. Last time I was there I saw tons of baby alligators. This is a very family and kid-friendly nature stop. You’ll be glad you made this part of your SW Florida getaway! Heading to Disney? Plan a stop at one of the many Central Florida springs. I highly recommend Kelly Park Rock Spring Run. Our springs are the real life Fountain of Youth. Freshwater springs that keep you cool in the hot summer days, nothing better than that! Rent a floatie or bring your own and enjoy floating down the lazy current while you enjoy the vegetation and wildlife around it. Springs are usually open until October, since it tends to be too cold later in the year to enjoy without a wet suit. What kind of interaction with Nature do you wish every child had? I wish every child had interaction with “real” Nature and be encouraged to think about the connections and interactions in the environment. Like, look at an ant, what is it doing? Why is it doing that? How does that ant connect to the rest of the ecosystem? That type of thinking is mostly fostered in the classroom, but it’s not nearly as engaging as when you’re in the element. Schools in South Florida don’t offer enough field trips, and when they do it seldom is to a real park. As a result a lot of kids grow up without even knowing the wealth of natural landscapes and wonder we have in Florida (even just in Miami), and without a real connection to the concepts they learned in their natural science classes. What advice would you give parents who are trying to foster in their kids a love for nature? Every child is different, and there are different ways of exploring nature. Find what works for your kid and then go explore places together (whether that entails camping in the Everglades, or going to the local nature museum, there are ways to explore nature together). I find it so true that one cannot care for what one does not know, so to me exposure is key. You can visit so many places in Florida. From the beach, to the Bay, to the Everglades and the Springs, the variety of ecosystems that Florida has been blessed with are quite spectacular. If you make these adventures part of what you do as a family, caring for nature will be a given for your child as he/she grows up. Regardless of whether your child grows up to become a professional in the environmental field or something completely unrelated to it, he/she will likely feel more inclined to incorporate habits that help nature thrive (from recycling, landscaping with native plants that provide habitat for wildlife, to being attentive to candidate’s political platforms and voting for pro-environment candidates). Schools don’t expose kids enough to nature, so you are your kid’s best chance! Programs like yours give me hope for tomorrow’s future leaders. Thank you! Thank you Celeste for everything you do and for sharing so much information, wisdom and fun inspiration with all of us!